My favorite item!!! Its so so pretty and cute. The length of the arms is 3/4 which is fine for me but doesnt show on the picture, I think. The details are so so lovely and the material is light and summery. Most definitely a steal!!! So so happy! 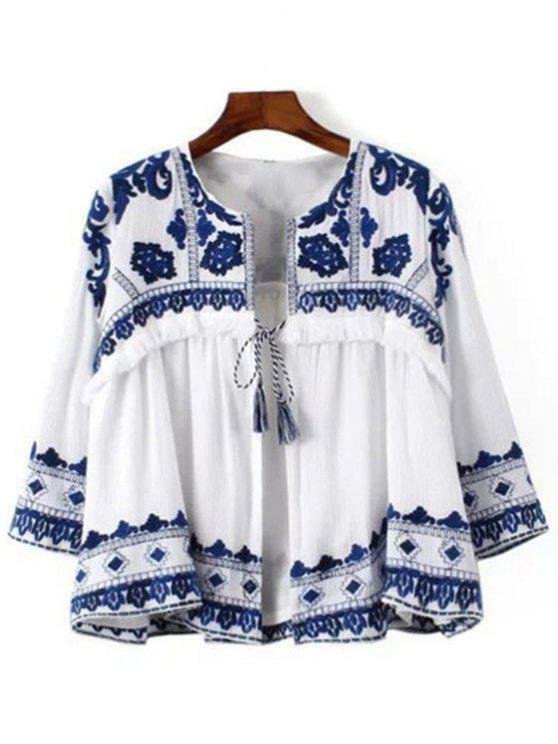 This has an ethnic vibe and looks great when paired with denim. It's roomy through the chest for those well endowed too. So well made and beautiful! The pics don't do it justice. Nice fabric, beautiful embroidery. It´s looks good quality and the fabric it´s not sheer at all. Very satisfied with this product. Beautiful! Arms are sort of tight but over all great!